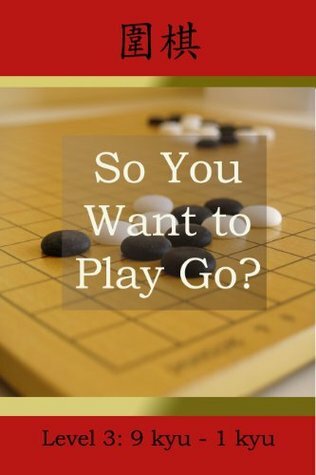 series: So You Want to Play Go? Level 3 of the "So you want to play Go?" series is designed for single digit kyu players to assist in their never ending quest to become 1 dan. This edition is far more rigorous than the previous two and will delve deeper into topics like stone development and attacking to help you raise your level of play, as well as go over finer tactical concepts like overconcentration and probes so you can easily apply them in your games. Be careful how you jump out! The border between your moyo and your opponent’s moyo is pivotal! Come into your opponent’s moyo before it’s too late! Try not to have a weak group near your moyo! Attack in order to profit! Attack to gain influence or thickness to pressure some other part of the board or invade. Do not use thickness to directly surround territory. Consider the direction of the fight carefully. Play in order to strengthen your weakest group without strengthening your opponent! Do not invade with a weak group nearby if you’re not going to sacrifice said weak group.